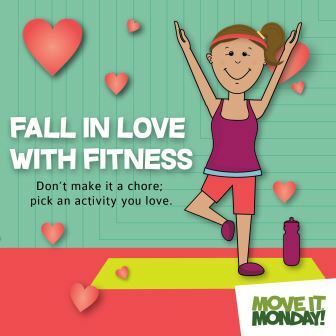 Falling in love with fitness means finding exercise you love and want to return to. Any routine done mechanically day after day can dull your muscle response, making your workouts less effective. But when you put your heart and passion into something, especially movement, you always get back more energy and joy. So ditch that monotonous treadmill and try out something novel that could really pump up your fun quotient. For 7 ideas on how to take the “ugh” out of fitness, click here.